This talented singer as born in Havana in 1930 and began her career in 1945 at the legendary Club Tropicana. In 1952, she and her sister Haydee founded the Cuarteto las d’Aida. The group was an international success and led to a tour of the USA with Nat King Cole. 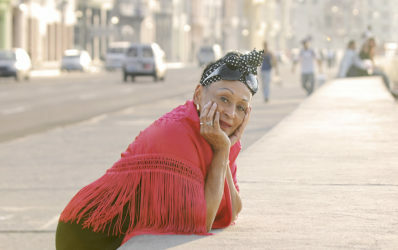 1959 saw Portuondo record her first solo album “Magia Negra”. While her sister Haydee immigrated to the USA, Portuondo chose to stay in Cuba. 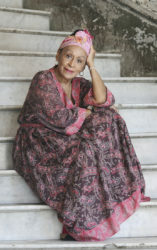 In 1997 she was the only woman who was part of the Ry Cooder-produced worldwide hit “The Buena Vista Social Club”. Her later albums include “Flor De Amor” (20024) and “Gracias” (2008). Her concert at the State Opera in Vienna is part of her worldwide farewell tour in 2019.